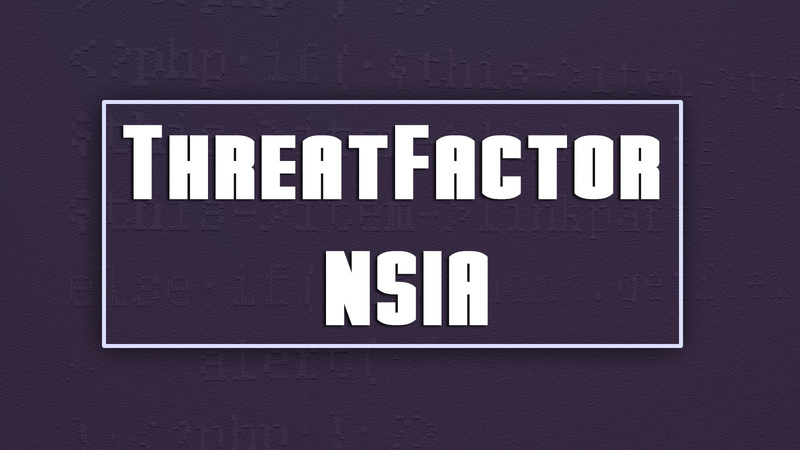 ThreatFactor NSIA is an open source website scanner that monitors websites in real-time in order to detect defacements, compliance violations, exploits, sensitive information disclosure and other issues. ThreatFactor detects issues remotely and therefore requires no software to install, does not introduce any latency and will not interrupt business operations. At it's core, ThreatFactor uses an advanced analysis engine that is capable of detecting a wide variety of issues and can be modified with custom signatures. Automatic Content Baselining and Self-Tuning: ThreatFactor automatically creates analyzes monitored sites and establishes a baseline; the baseline is used to self-tune the system in order to reduce the rate of false alerts and to increase the sensitivity to potentially unauthorized changes. Automatic Web-Content Discovery: ThreatFactor automatically discovers the content associated with monitored websites; oftentimes finding hidden or unexpected content. 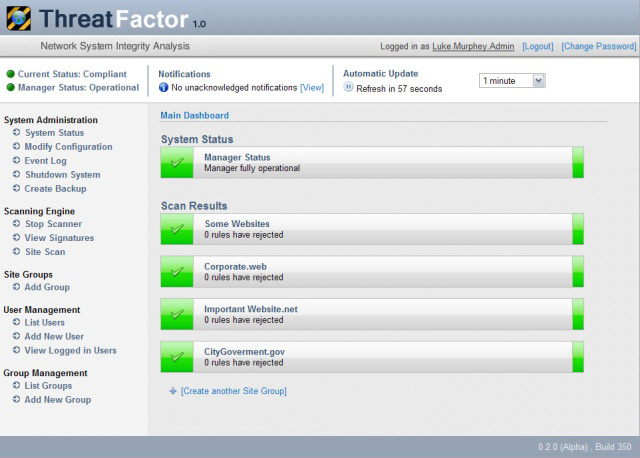 Built-In Web Interface: ThreatFactor features an built-in web-server that makes administration easy using a web-browser. Comprehensive Signature Set: Includes over 2000 signatures for issues ranging from exploits and privacy problems to offensive language. Full Access Controls: The ThreatFactor servers supports rights, object-level access controls that can be applied to users and groups. Integrated Custom Signature Editor: A syntax highlighting signature editor is provided for writing custom ThreatPattern and ThreatScript signatures. SIEM Integration: ThreatFactor can log to a an external device such as a Security Information Event Management (SIEM) tool or log management solution. Integrated Database: ThreatFactor features an integrated database and eliminates the need for a DBA.